Купить steam ключ Dead Island GOTY. Если вы фанат Left4Dead 1 и 2 вам просто необходима в своей коллекции игра Dead Island! Escape Dead Island STEAM KEY RU+CIS СТИМ КЛЮЧ ЛИЦЕНЗИЯ 34 р. Escape Dead Island (STEAM KEY / RU/CIS) 39 р. Dead Island Retro Revenge STEAM KEY СТИМ КЛЮЧ ЛИЦЕНЗИЯ 39 р. Dead Island Retro Revenge (STEAM KEY / RU/CIS) 39 р. Escape Dead Island (Steam) RU Buka 40 р. Escape Dead Island (Ключ активации в Steam) 45 р. Escape Dead Island (steam key) RU 49 р. Escape Dead Island (Steam KEY) + ПОДАРОК 75 р. Escape Dead Island (Steam KEY) 79 р. Escape Dead Island (STEAM GIFT / RU/CIS) 79 р. Escape Dead Island (STEAM) 90 р. Escape Dead Island (steam gift ru\CIS) 90 р. STEAM | Escape Dead Island | СНГ 99 р. Escape Dead Island (Photo CD-Key) STEAM 99 р. Escape Dead Island (STEAM KEY/+ BONUS) 109 р. Dead Island Retro Revenge (Steam Gift | RU) 110 р. Dead Island Definitive Edition (Steam key/ RU + CIS) 110 р. Escape Dead Island (Steam Gift RU+CIS) 121 р. Dead Island: Definitive Edition (Steam KEY) + ПОДАРОК 145 р. ESCAPE DEAD ISLAND (Steam/CD-KEY RU+CIS) 149 р. Dead Island Definitive Edition Steam Key / NA + RU/CIS 160 р. Dead Island Definitive Edition NEW! - Steam RU-CIS-UA 185 р. ESCAPE DEAD ISLAND - STEAM - CD-KEY - SCAN - БУКА 199 р. Dead Island Definitive COLLECTION ✅ (Steam RU) +ПОДАРКИ 220 р. Dead Island Definitive Collection (STEAM KEY / RU/CIS) 279 р. Dead Island Definitive Collection Steam Key (Ru/Cis) 285 р. Escape Dead Island (Steam Gift/RU) + ПОДАРОК 311 р. Escape Dead Island (Steam Gift region Free / ROW) 349 р. Dead Island: Полное издание (Steam KEY) + ПОДАРОК 355 р. Escape Dead Island [Steam KEY] 356 р. Dead Island Definitive Edition (Steam Gift | RU) 357 р. Dead Island Collection (Steam Gift | RU-CIS) 399 р. Dead Island GOTY + Saints Row: The Third - The Full Pac 406 р. DEAD ISLAND - STEAM - СТАНДАРТ - ФОТО 420 р. Escape Dead Island (steam key) -- RU 424 р. Dead Island Definitive Edition [Steam\RegionFree\Key] 499 р. Dead Island Blood Edition + Скидки + ПОДАРОК 499 р. Dead Island Franchise Pack 500 р. 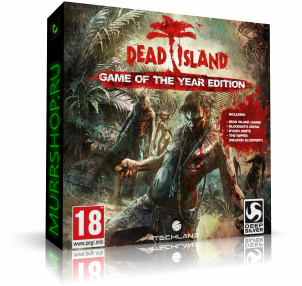 Dead Island: Game of the Year GOTY - Steam - ROW / free 539 р. Dead Island Definitive Collection (steam cd-key RU,CIS) 599 р. Dead Island: Franchise Pack Collection Steam ROW / free 799 р. Dead Island (GOTY) (Steam | Region Free) 912 р. Escape Dead Island (Steam | Region Free) 1 067 р. Dead Island Definitive Edition (Steam | Region Free) 1 175 р. Dead Island: GOTY (Steam Gift | Region Free) 3 229 р.